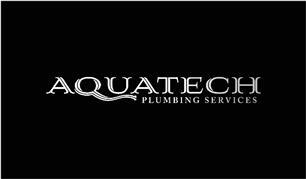 Aquatech Plumbing Services Ltd - Bathrooms, Central Heating Engineer, Plumber based in Godalming, Surrey. Aquatech Plumbing Services are a Godalming based heating and plumbing company. Offering complete services to meet all of your heating and plumbing requirements. We can also manage projects from start to finish regardless of size. Leaving you with a result that you will be nothing but happy with. We specialize in Oil, LPG and Gas fired central heating boilers. With our incredibly knowledgable engineers, we can easily diagnose and repair most makes of boilers without having to give you that dreaded news of an unnecessary boiler replacement. However, should you require or wish for a replacement model, we can provide a leading A* rated boiler with a 10year warranty for both Oil and Gas. This also includes a free year of boiler home care on all new installations. We often install complete house installation in either copper or plastic, whether new-build or existing. Full house underfloor heating systems and pressurized unvented installations. Also, complete bathroom refurbishments and replacements. The catalog of work which we can cover ensures that we can not only look after all of you hot and cold water needs but also offer a bespoke package, tailered for each one of our customers. The Aquatech Plumbing Services team.